Scissors beats paper every time. 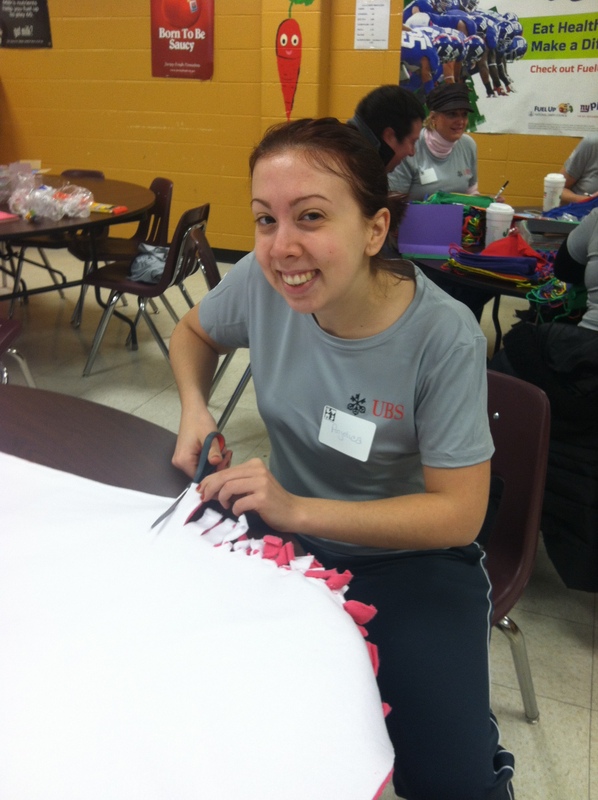 Plus they make great no-sew blankets just like the one this UBS employee is making as a part of a Sandy Recovery project. Get involved today! Click here to learn how.